This is the charred remains of a boat that caught fire Sunday night near the sandbar at Haulover Park. 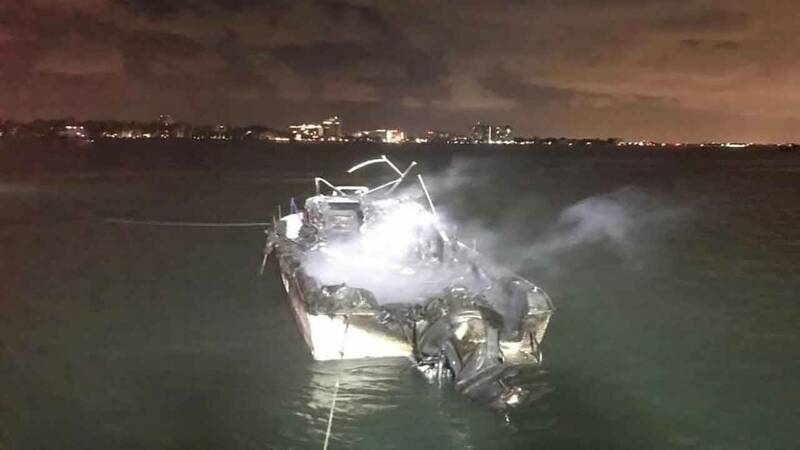 MIAMI-DADE COUNTY, Fla. - A boat was destroyed in a fire Sunday night near the sandbar at Haulover Park. Miami-Dade Fire Rescue was called to the boat fire at the Haulover Inlet about 9:30 p.m. Firefighters used a "deck gun" hose from a fireboat to douse the burning boat. Nobody was on the boat at the time of the fire. It was towed back to a marina.